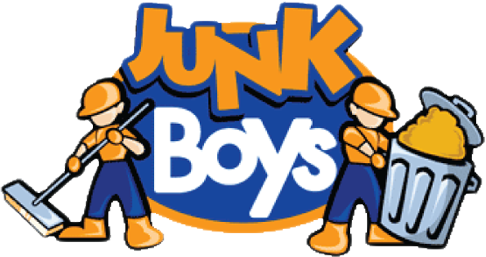 When I started JunkBoys I wanted to have a junk removal service that will stand out. This is now a reality. Our uniformed crews are prompt, cheerful, motivated & professional, as well as prescreened, thoroughly background checked and highly trained, to meet the strict standards of JunkBoys. We take away almost anything non-hazardous from moving & storage boxes, old furniture and appliances, electronics, old tools, metals, BBQ’s, lawn mowers, books/magazines, rims and tires to yard waste, renovation & construction debris, or just about anything else you need to get rid of.. JunkBoys also use clean, good looking trucks that are bigger than our competition, so we can take away everything at once. Unlike other junk removal services, we recycle and donate usable goods to the less fortunate. If you want to schedule an appointment we make that very easy for you as well, you can call us or simply use our book online feature. We serve anyone in the Greater Toronto Area. I am very happy to have a service like this, and maybe someday it can be of help to you.